I recall in my student days, marching for Aboriginal land rights with fellow college friends and Aboriginal activists some decades ago. (Image attached taken by a friend, for the few of you who remember these heady days.) Land rights made progress in the years of the Whitlam Government (as many “rights” did) but suffered setbacks after his dismissal. Still, despite that, Land rights legislation by various states thereafter recognised their occupation or at least acknowledged some of their claims. The Indigenous Land Corporation established in 1995 assisted aboriginals to acquire land to be managed in accordance with traditional Aboriginal sustainability. I, like many, assumed issues like this were being managed at least to some degree and that much of these particular struggles belonged in a far distant past not to be resurrected. The “apology” we made as a nation to the aboriginal people upon Rudd’s election to PM, was a point from which we could move forward in our relationships with them, not backwards (as we are now). There were still many injustices remaining, but as slowly as government bureaucracy’s and white racism would allow, we were making progress. Then following the mismanagement of other matters under the Rudd Government became evident, the Australian population “punished” the Government for these and elected Abbott to power. 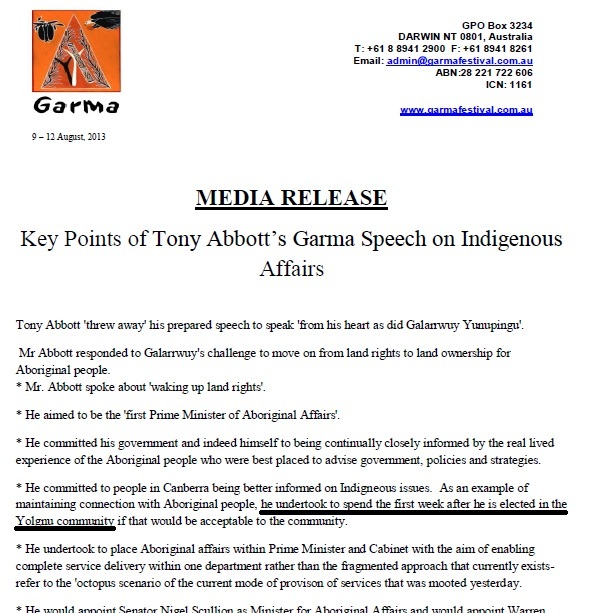 Screenshot of the original press release which has since been removed from the Garma website. 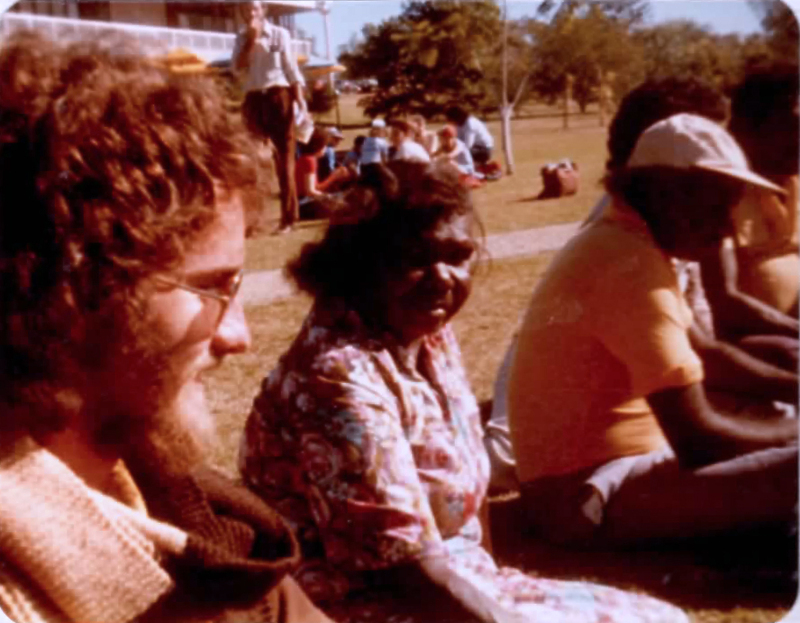 Abbott’s first lie (of many to follow) he used to deceive native Australians into voting for him. This unfulfilled promise became evident in his first week of power, and it was a promise made to the “first people” publically. On the 10th of August in front of the Aboriginal elders and participants of the Garma Festival, he pledged to spend his first week, if elected, with an Aboriginal Community. This was not the only a promise to Aboriginal Australia he broke. There were others to follow, such as his guaranteed Constitutional recognition of Aboriginals. There has been no progress in the debate for legal recognition for 20 years since Howard raised it but repeatedly failed to deliver. Mind you, Gillard also neglected to address this same issue. 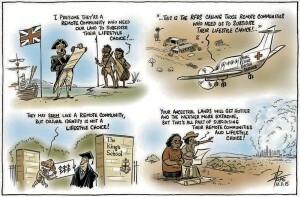 So now three governments down the track and promises short on delivery, is all the indigenous Australians have. Meanwhile back at the campsite, Abbott did later spend a few days in an aboriginal encampment, but he had to cut it short to send troops off to war. While he could have done that without his presence, he is not one to miss an opportunity to promote himself and be seen acting on terrorism outside Australia (although as some might suggest “while generating it inside”). Certainly supporting indigenous Australians is not high on anyone’s agenda unless you are making promises you have no intent on fulfilling, to solicit votes. Australia for all its faults, racism and intolerance at times, would – we assumed – was once little more aggressive than that of the white redneck bogan grumblings at late night pub drinking sessions. Indeed not armed policemen on horse-back clearing people of the lands, that they fought so long and so hard to retain for their communities. 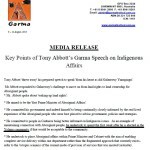 The State Liberal Governments with the backing of the Federal Government has had free reign to reduce the outback communities of Aboriginal people. I guess Tony will not have to rough it so much when he next stays for a couple of days in an indigenous community to not lose face over a promise he has converted from, one of staying in his first week of office, to one where he stops in once a year. How magnanimous of him. With all else he has done, one might be forgiven for wondering, have we tumbled back to a time when white settlers and soldiers cleared the land of Aboriginals at gun point? How backwards have we become? 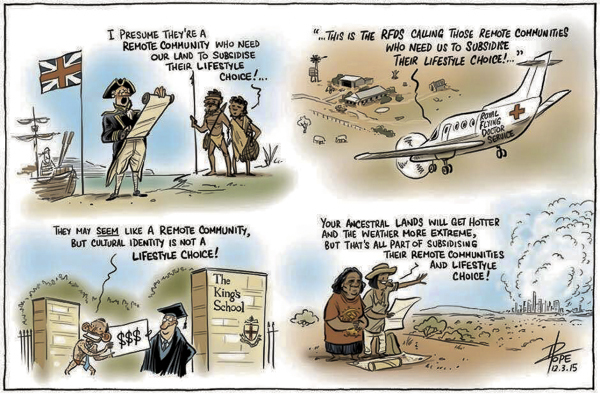 Backward enough that we consider the Aboriginal occupation of their land as nothing but a “lifestyle Choice”?